256 Bit Encryption, Site Seal, and the highest level of Authentication SSL Certificates from Symantec, GeoTrust, Thawte for Unlimited Sub Domains. GeoTrust is an SSL/TLS Certificates provider and it is a trusted leader in SSL industry. The GeoTrust was founded in 1999 and restarted company in 2001. GeoTrust was acquired by VeriSign on 5th September 2006 and GeoTrust brand owned by Symantec as a part of the acquisition of VeriSign’s security business services in 2010. GeoTrust offers various types of validation methods to trust your online business. GeoTrust SSL available in Extended Validation, Organization Validated and Domain Validated certificate authentications. Increase online sales conversions by building customers trust and the confidence on your website through GeoTrust SSL Certificate for your website visitors security need. A GeoTrust Secured Seal comes up with all GeoTrust SSL Certificates. Nowadays online customers are looking for trust signs on the website for transacting their sensitive data online due to more increase in online fraud and customers’ identity theft. GeoTrust Secured Seal is a strong authentication visibility to your customers in order to increase more conversions and website traffic. Add the GeoTrust Secured Site Seal everywhere on the web pages of your site. Please reference the GeoTrust Secured Site Seal installation instructions provided by GeoTrust. Once you installed the GeoTrust SSL then you can add the GeoTrust Site Seal logo to your website as trust indicator to your customers that the website has been verified and secured by a legitimate SSL Certificate issued by GeoTrust. You can buy GeoTrust SSL products through Acmetek website security solutions at the discounted price. Acmetek provides 24/7 SSL support. If you want to know more about the GeoTrust wide range of SSL products and service, please reach us via direct phone call at 040-40023656 or you can request a callback or request SSL quote option services so that our sales team will get in touch with you soon. Are you care about your online customers, to give your website visitors a safer experience? Do you want to know how to secure your website against cyber-attacks? If you have these queries in your mind then you need to have a GeoTrust SSL Certificate to your website online security need. GeoTrust is the world’s second largest Certificate Authority (CA). GeoTrust issues a wide range of SSL Certificates, including from Single Domain SSL or Standard SSL Certificate to Extended Validation Certificates. All GeoTrust SSL Certificates are ensured to secure transmitting customers data from your website to the server. GeoTrust SSL products are using and trusted by over 100,000 companies spread across 150 different countries to secure online transacting data over the internet. All size of organization enables the HTTPS/SSL encryption with GeoTrust SSL to secure their online business transactions. GeoTrust website security solutions are worthwhile investing money to secure website and ensure site visitors that their transacting online data secured from hackers and provides a safer browsing online environment to users. GeoTrust SSL uses the latest encryption technology and they offer up to 256-bit SSL encryption algorithm certificate. All GeoTrust Certificates are fast delivery, affordable SSL price, easy to install and it displayed the secured seal on your website. GeoTrust SSL Certificate comes up with up to 256-bit strong SSL encryption. GeoTrust issues SSL certificates for all sizes of online business and enterprises. GeoTrust is also supporting SAN (Subject Alternative Name) and Multi-Domain certificate options. Why Buy GeoTrust SSL from Acmetek? Acmetek is a Platinum partner with GeoTrust SSL Certificates provider. We are established and recognized reseller or distributor of GeoTrust SSL Certificates Certificate Authority (CA). If you buy a GeoTrust SSL product from Acmetek, you will get a special discount on SSL Certificate for your website security need. We understand your needs to suggest a most suitable GeoTrust Certificate that fit your business website security need. Secure your website with GeoTrust SSL Certificate from Acmetek. You will get the same high quality and standard certificate provided by the GeoTrust at cheap price from us. If you need any further information or questions or concerns, please request a call-back or request an SSL quote option services so that our SSL support team will get in touch with you soon! 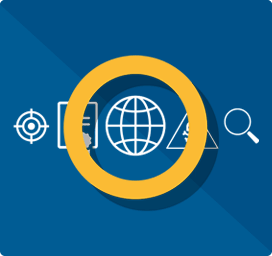 Compare all GeoTrust SSL Certificates before you buy. We have prepared GeoTrust SSL Certificates comparison chart for easy to understand the difference between certificates features and benefits to choose a perfect SSL Certificate for your website security need. Save your time and money! Acmetek works with reseller and partner networks anywhere to provide GeoTrust SSL website security solution services. 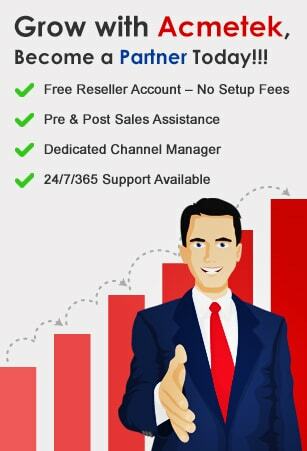 All size business resellers are welcome to join Acmetek SSL reseller program. Add our SSL products to your business stream and start making money today! Request a quote here to get pricing, offers, and product information over the phone or through email from a Acmetek SSL Solution Specialist today!